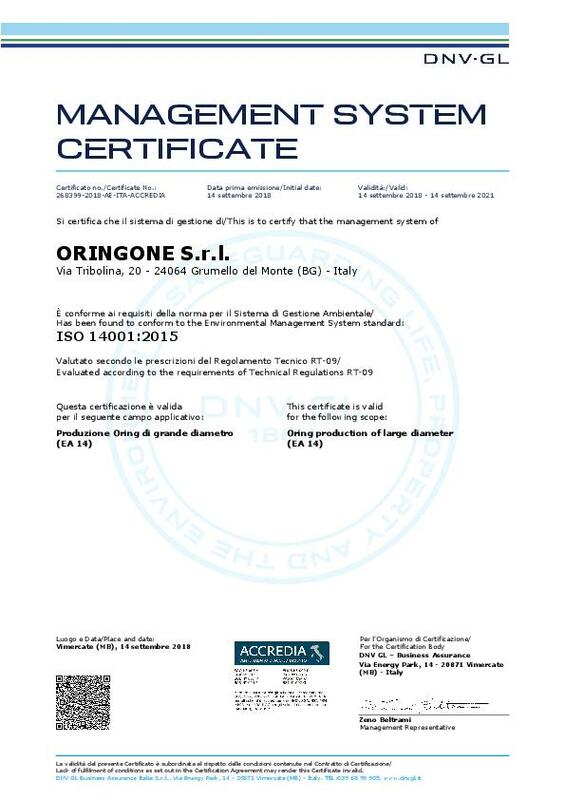 On September 2018 OringOne S.r.l. 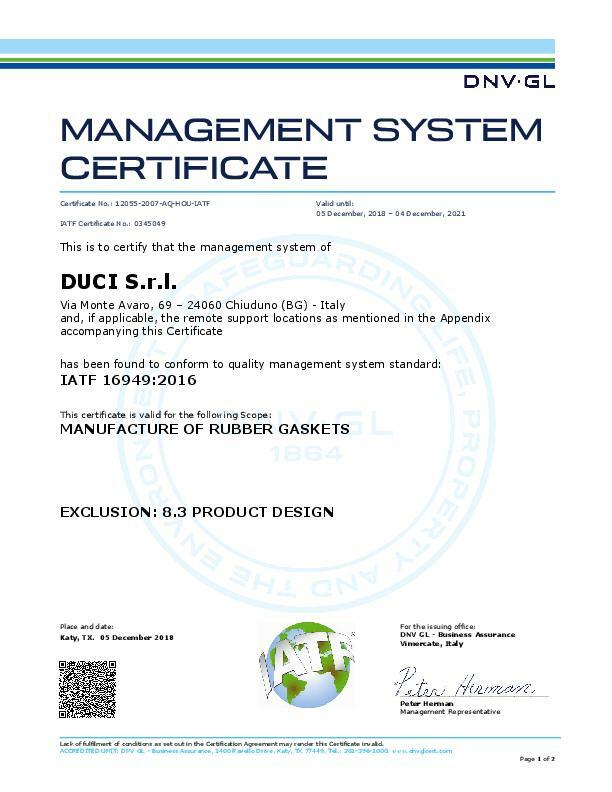 has successfully passed the renewal of its ISO 14001:2015 certification. 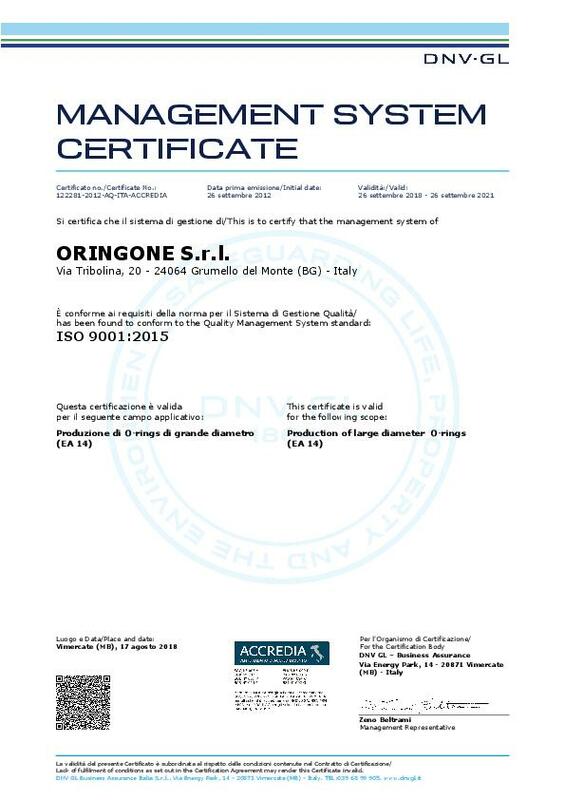 On September 2018 OringOne S.r.l. 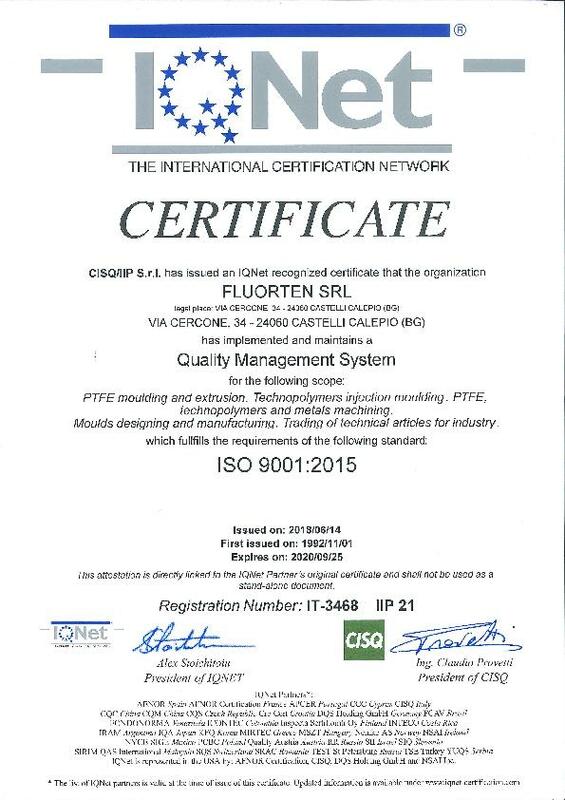 has successfully passed the renewal of its ISO certification updating to EN ISO 9001:2015. 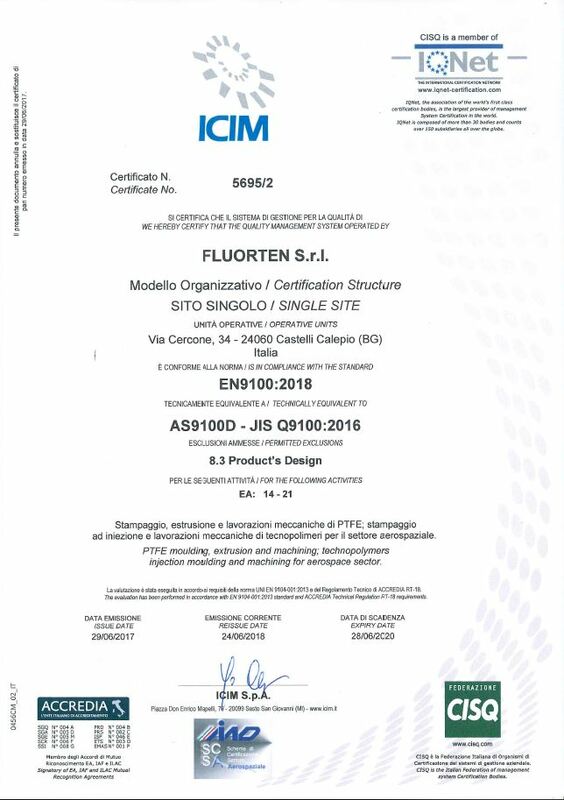 On August 2018 Fluorten S.r.l. 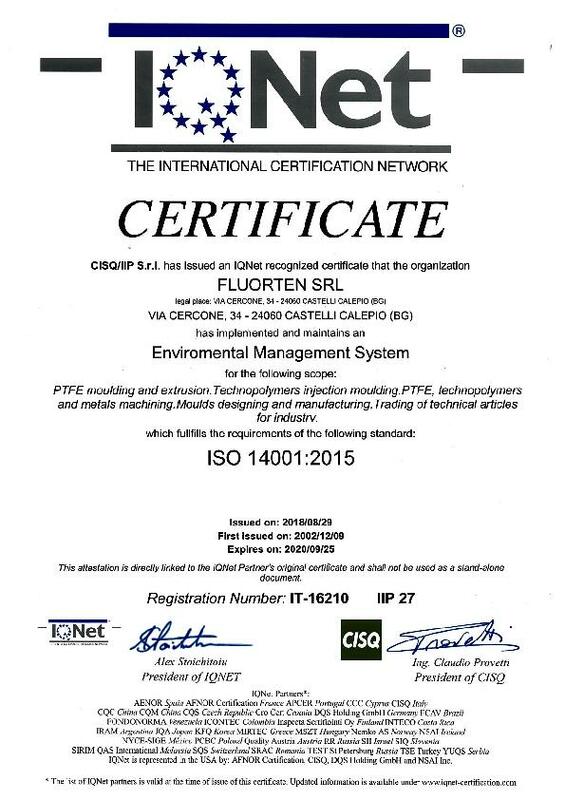 has successfully passed the renewal of its ISO 14001:2015 certification. Please be informed that our delivery from stock will end on July 31st for summer vacation. Any new incoming order starting Friday 27th will be postponed to September. 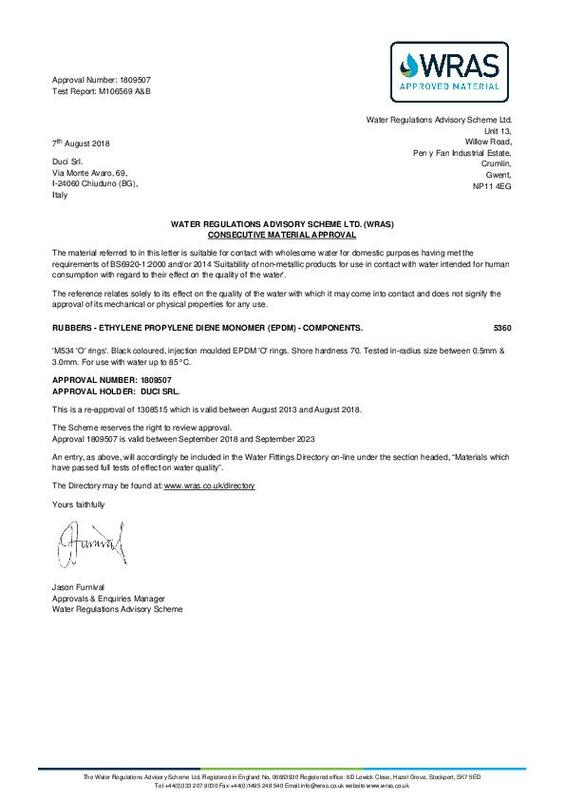 Summer vacation 4th to 27th August (included). On January 2018 F.lli Paris S.r.l. has successfully passed the renewal of its ISO certification updating to EN ISO 9001:2015. 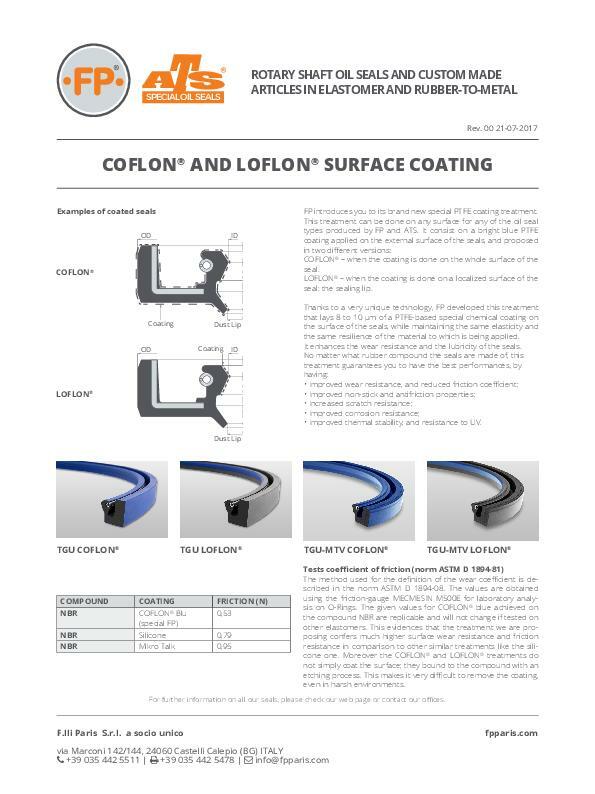 On June 2018 Fluorten S.r.l. 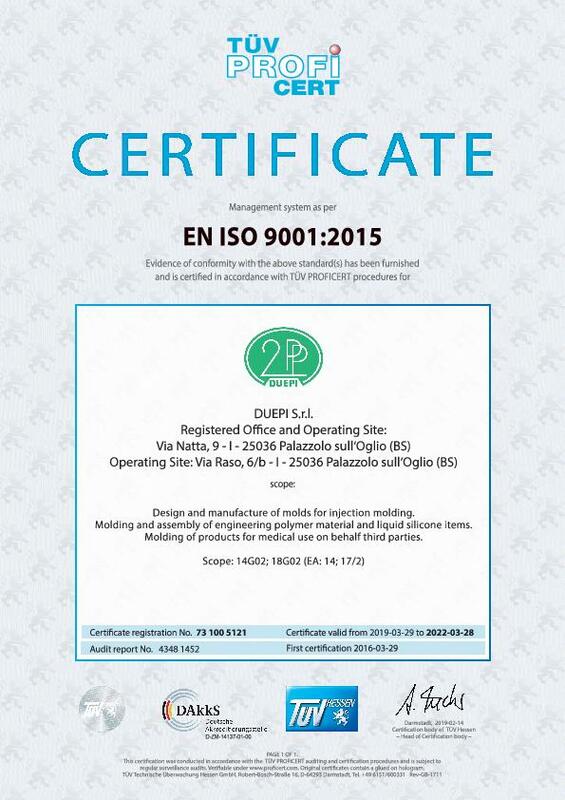 has successfully passed the renewal of its ISO certification updating to EN ISO 9001:2015. 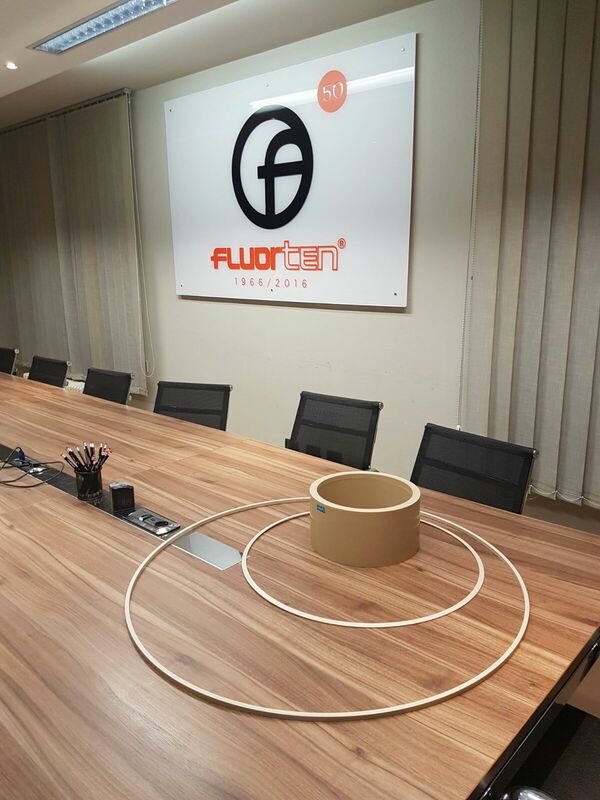 On May 11th 2018 Fluorten srl has successfully passed the renewal of the EN 9100 : 2016 for supplies in the aerospace industry. Fluorten S.r.l. 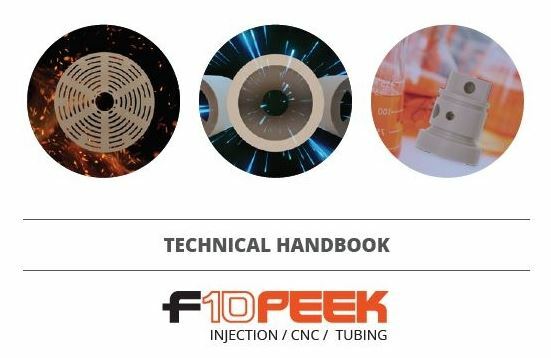 introduces you to his new family of hi-end PEEK materials. Our Russian Sales Mgr. 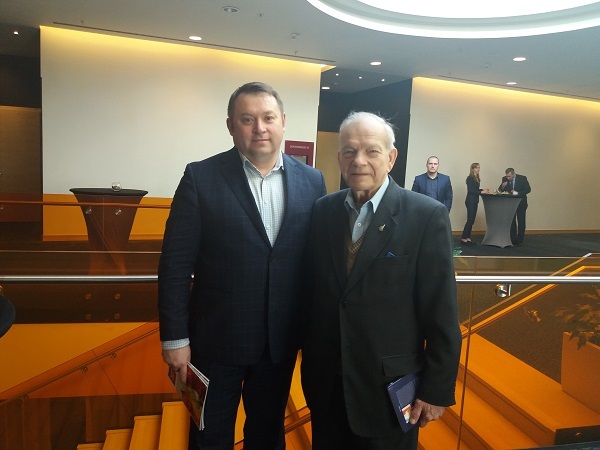 Oleg Gavrilov meets Mr. Oleg Shpakov, the 85 years old "guru" of the Valve Design in Russia with 65 years of experience in the valve making. 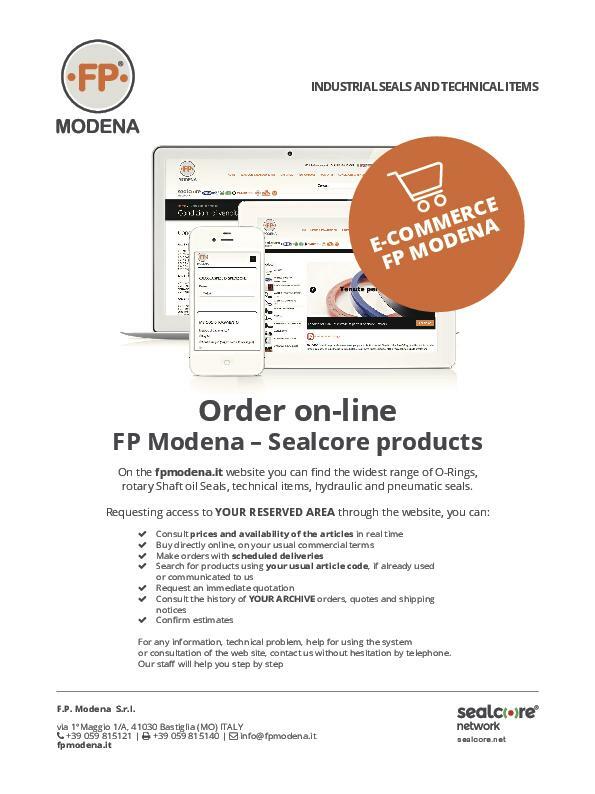 E-COMMERCE for FP Modena S.r.l. 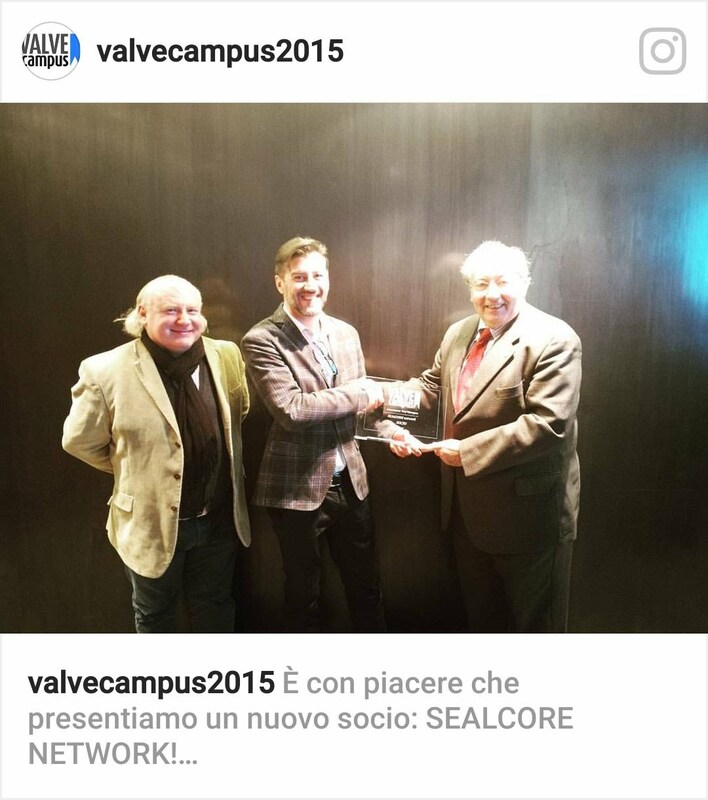 SEALCORE Network was recognized with the status of official member in VALVECAMPUS. 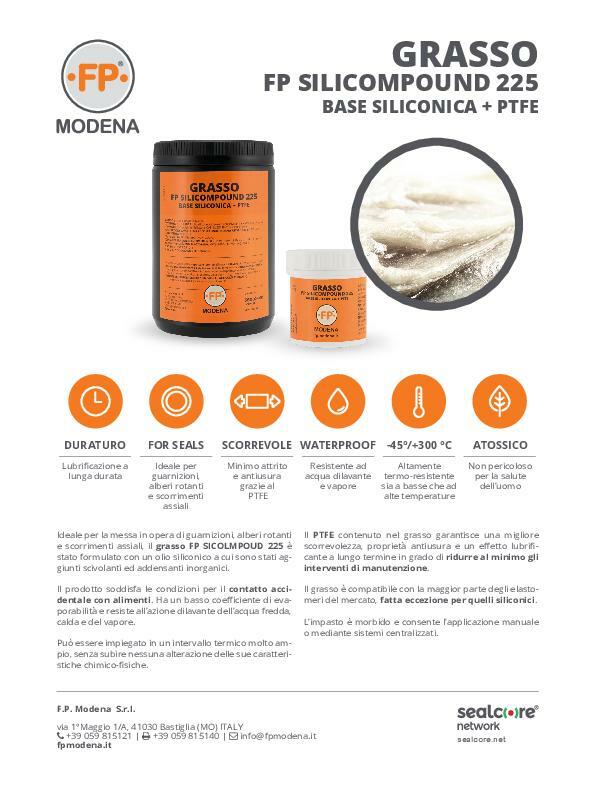 SLIB ITALY has obtained the certification for its products for export in Russia and CIS Countries. DUCI S.r.l. 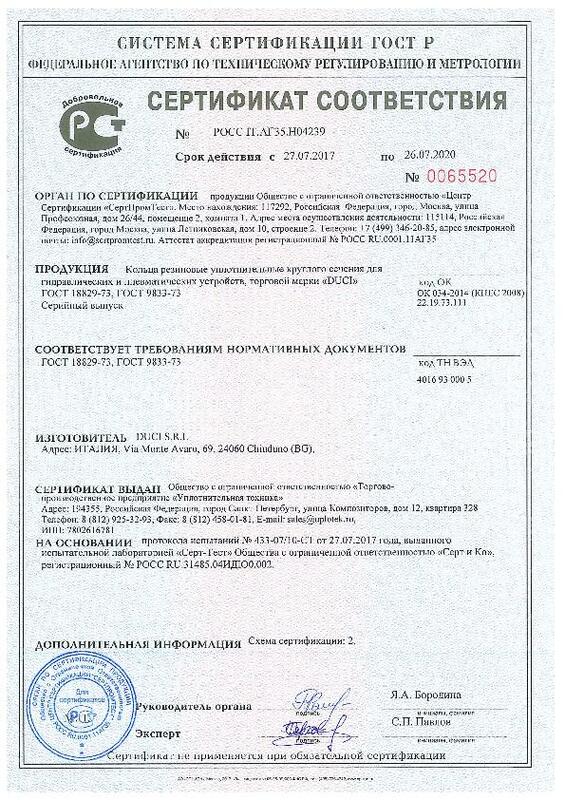 has obtained the certification for its products for export in Russia and CIS Countries. DUCI S.r.l. 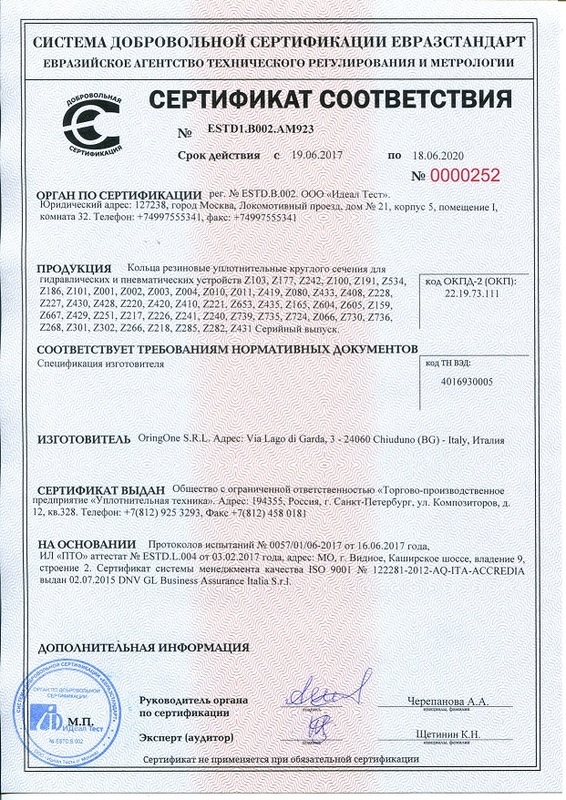 receives the certification UBA and W270 for the compound NBR70 M066. FLUORTEN S.r.l. 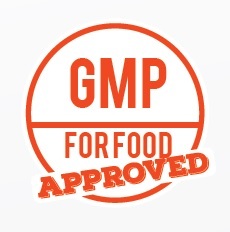 has acquired the GMP Certification, and is now a Food Contact Qualified Supplier. OringOne S.r.l. 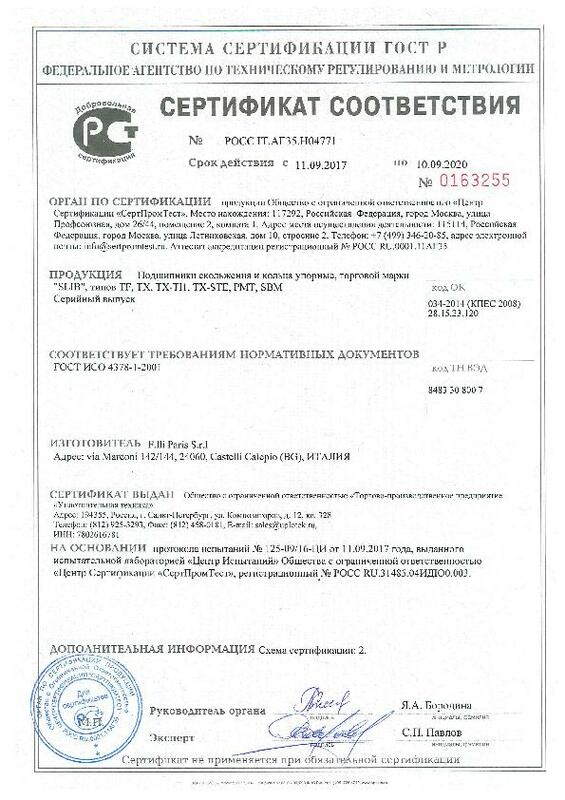 has obtained the certification for its products for export in Russia and CIS Countries. 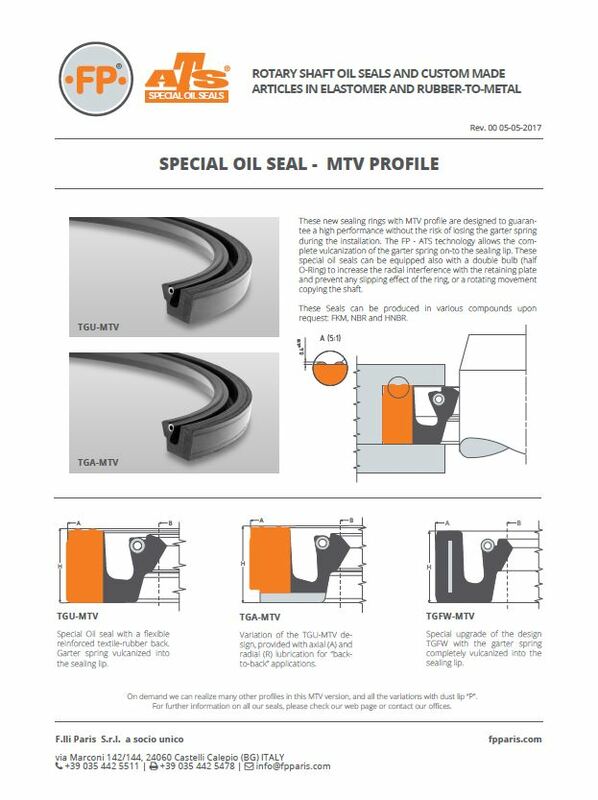 FP introduces the new oil seal with MTV design. 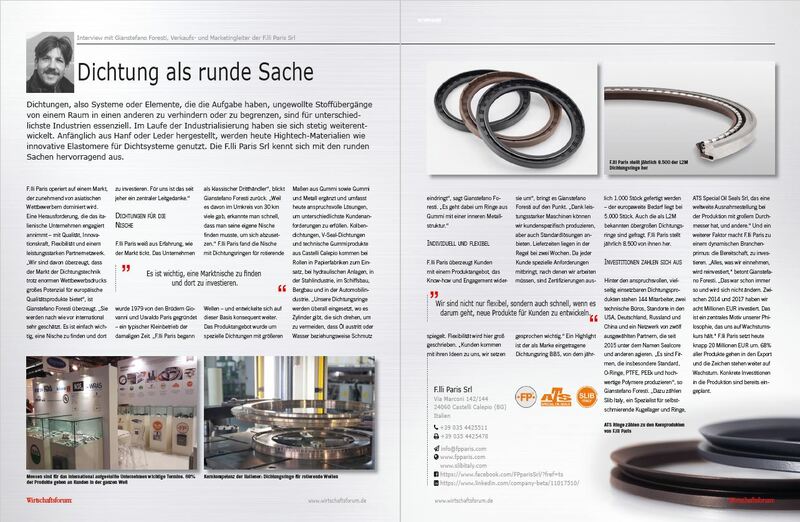 FP introduces the new oil seal with the MTV design with the garter spring vulcanized into the sealing lip to increase its performances. 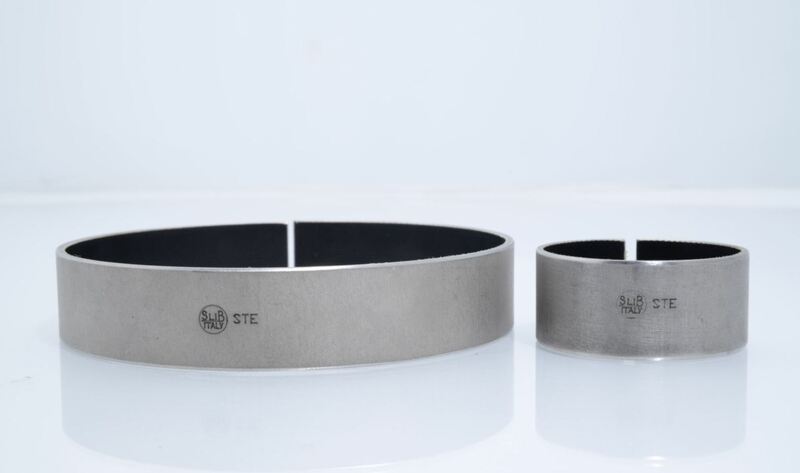 SLIB ITALY introduces the new self-lubricating bushings and washers in "STELLITE"
SLIB ITALY has started a new production line for extremely hard metal alloys. One of these metal alloys is "STELLITE", for which SLIB ITALY is the sole Italian manufacturer for Bushings and Washers. DUCI S.r.l. 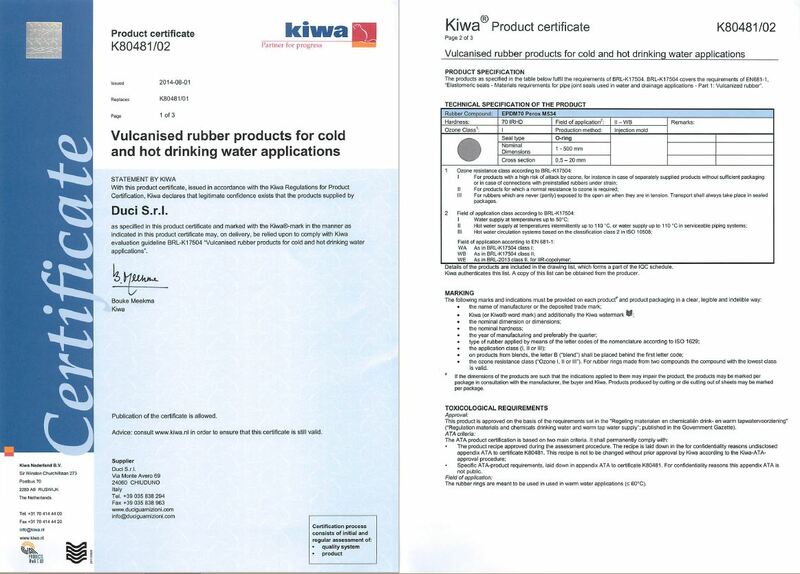 gladly informs that the compound EPDM 70 PEROXIDE CURED M534 has been approved according to KIWA. OringOne S.r.l. obtains the NORSOK M-710 ed. 3 approval (AED). Fluorten S.r.l. 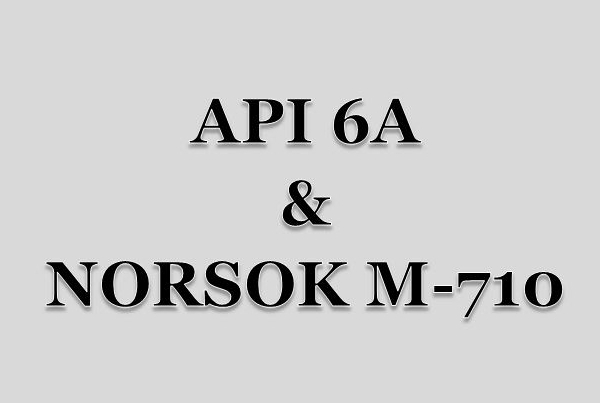 obtains the API 6A approval. 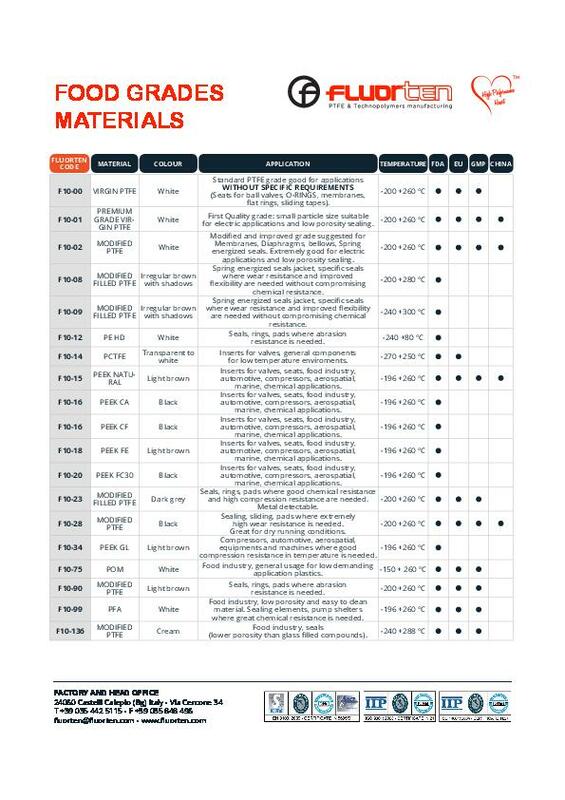 UBA and W270 certifications for compound EPDM 70 PEROX M534. 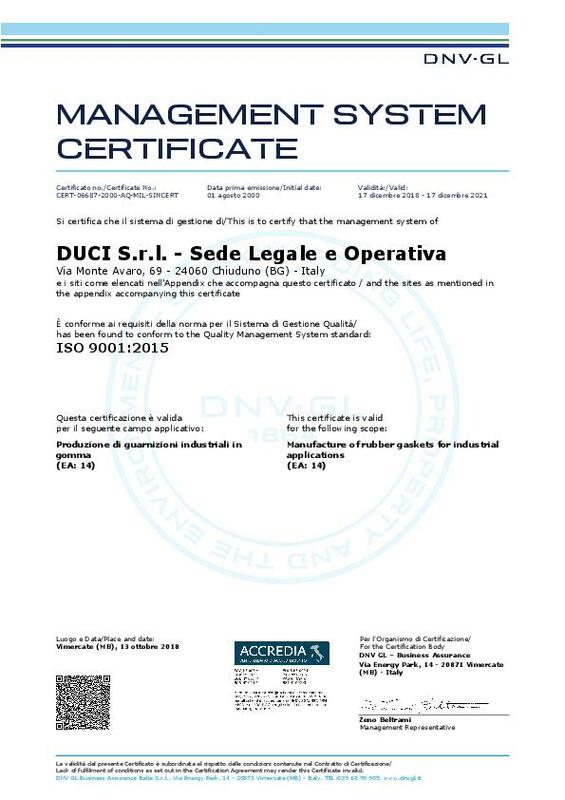 DUCI S.r.l. 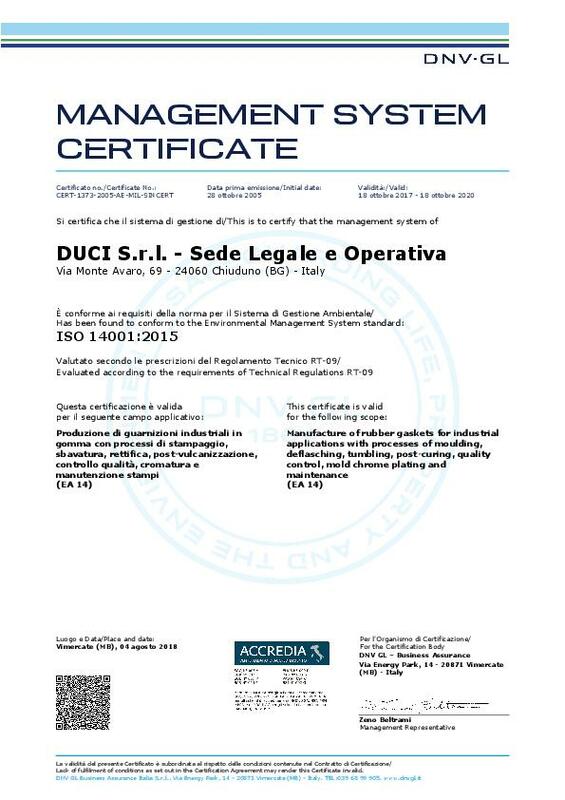 has obtained the certifications UBA and W270 for the compound EPDM 70 PEROX M534. 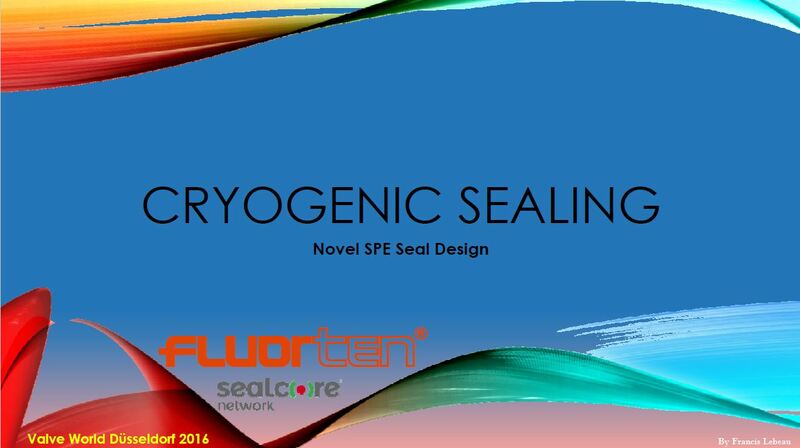 IVS 2017 promotes the SEALCORE Network on its official Linkedin and Facebook web pages.